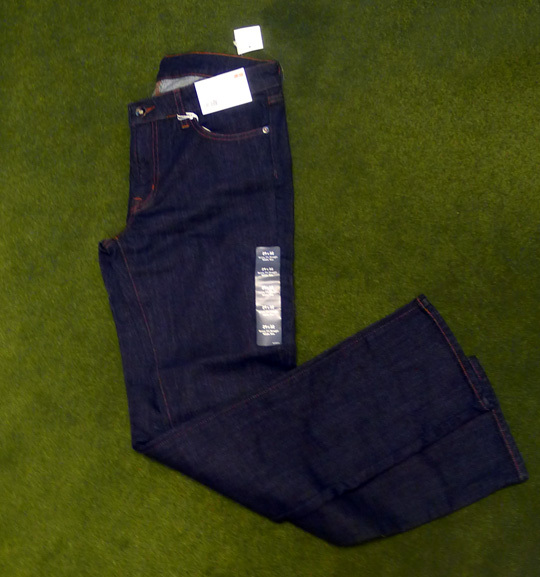 Fashion Herald: Want Skinny Uniqlo Jeans? I've had these under my desk for too long, so that means...GIVEAWAY. Once I broke these in, I loved. But it took a couple wearings. Are you a size 29 x 32? Do you want a pair of the skinny jeans Uniqlo priced at $9.90 for their opening of the 34th Street store? Leave me a comment with an email (if there's no contact info linked to your user name) so I can easily contact you, and we'll do a drawing! US only please.Contest up till Tuesday, January 17th at noon. Tweet this daily with @fashionherald till next Tuesday and you get another entry (only one tweet per day, please). Post it on your facebook page with a link to Fashion Herald's facebook and you get another entry (one post only, please). Or like I said above, just tell me you want them and they might be yours! And don't forget, Uniqlo has a lot on sale right now. The +J is still discounted, and if you haven't tried on the last +J collection for Uniqlo, now is the time to do it. I'm a 29 but a little shorter than a 32 but I can get them hemmed! These sold out so quickly, would love to get my hands on a pair! I'd love to win these! elizabethncoyne@gmail.com, previously of observationmode!!!! !